Now, our country is at the crucial stage of the construction of running pipes, and SAW (Submerged Arc Welding) steel pipes, a kind of welded steel pipes, with thin walls are being widely used in urban pipe networks. Because SAW steel pipes are hard to avoid producing weld defects in the process of automatic welding, so weld repair becomes an essential link in the process manufacturing pipes. How to make the appearance quality, inner quality and physical and chemical property of the welding lines reach the original level is placed the top priority in weld repair. 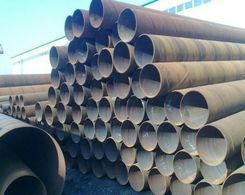 For large-sized SAW steel pipes, the inside welding defects like inside current interruption need the welders to enter into the pipes to conduct weld repair. And for defects like burn through, it generally adopts weld repair in two sides, both outside and inside. 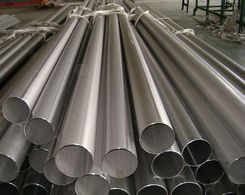 For small-sized SAW steel pipes, the only weld repair way is to dig the defect spots, no matter inside welding lines defects or burn through defects, to carry out two-sided molding weld repair through welding from one side because welders cannot enter into the pipes. Two-sided molding repair welding has been followed for many years, but it also has some problems. It has a high requirement to the operation level of the weld repair; the overlaps are easy to take shape in repair welding spots and hard to clear away; the quality of the welding lines is poor and the percent of pass is lower after X-ray tests. Thus，Petroleum Steel Pipe Plant in North China took its production conditions into consideration, adopting a new kind of weld repair when welding SAW steel pipes and obtaining better effects. Using carbon arc air gouging to clear away weld defects and make groove into V form, and use grinding machine to eliminate carburized layer until the pure metal luster come out. And clear away the water, rust, oil contamination on groove. Then install ceramic pads closely to pipe inside walls, and follow the outline of the original welding lines. In addition, the temperature must control at (150±15) ℃ to gain better impact property and bending property of the welding lines. The process involves ceramic plus prime carbon dioxide gas shield welding plus filling and covering with carbon dioxide gas shielded welding (manual electric arc welding) obtains good effects after tests. By adopting this kind of weld repair of welding lines, the appearances of welding lines are well formed and free of coping and inner overlap, and the pipes process good mechanical properties, and their qualities are up to relevant requirements of applicable standard. 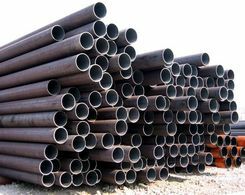 Prev:What Is Black Steel Pipe?